I have been going to Haiti almost every year since the big earthquake of 2010. When you go to Haiti, you always seem to run into other mission or aid workers-it doesn’t matter what part of the country you find yourself in. One of those serendipitous moments occurred at St Joseph’s Home for Boys, which is where I have found lodging each year. I had the good fortune of meeting Liesa Faulkner, a Sociology Professor from California. Leisa had been coming to Haiti for many years and was evaluating the earthquake relief efforts and checking on the status of the adoption process for 2 boys that she and Paul were adopting. Connecting Ordinary Saints to Leisa and Children’s Hope was an easy relationship to build. 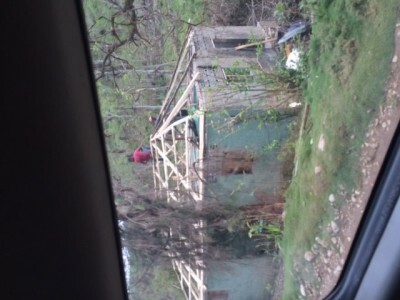 My long-time mission experience with youth and college groups matched with Leisa’s desire to start bringing college groups from California to Haiti. A mission/service marriage was born! The latest collaboration with Children’s Hope was in late July of 2016, when a college group of 15 worked for a week in Port au Prince and Jacmel, serving the poorest of the poor with food, medicine, sports, and compassion. Fast forward to early October and the arrival of Hurricane Mitch (145 mph) to the southwest Haitian coastlines. A slogan that has followed me from my Center for Student Mission days- “Compelled to Care”- engaged my spirit. 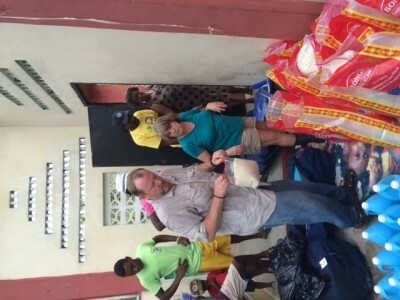 I had to get back to Haiti to see what I could do to help. Paul and Leisa, out in California, were the same way, so we immediately made plans, bought airline tickets and began collecting medical supplies. Pictures of the devastation didn’t do justice to the widespread carnage of downed trees, flattened buildings, and the quickly spreading medical crisis of malnourishment and cholera. Upon reflection, you have to be realistic to know that your limited efforts to help pale in comparison to the true need. 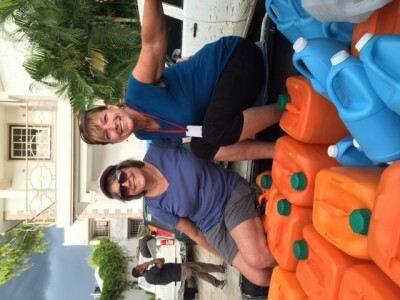 Responding from that inner voice compelling us to go, we flew down to Haiti and delivered 50 lb bags of rice and beans, hundreds of gallons of bleach to help purify the water, and duffle bags of basic medical supplies. One village, which we arrived to by fording a swollen stream of flood waters, had been cut off from any other aid groups-they were overjoyed that someone cared enough to come their way! 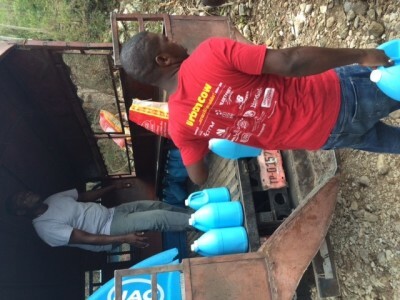 4 days passed so quickly-we gave away everything we had, then returned to Port au Prince to collect more bleach for another group heading to a different area the day we were leaving. 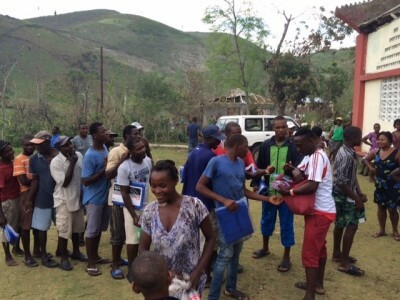 Every time I leave Haiti, there is a sense of pessimism (that nothing will ever change in the poor country of Haiti) battling with faith and hope (that Haitian lives are touched and saved). Faith and hope continue to win out every year because I return to Haiti renewed and uplifted, gaining strength from my Haitian brothers and sisters and their power to persevere and succeed in life, no matter what obstacles are thrown their way. Ordinary Saints sponsors teachers from Yellowstone Academy to attend Young Life Summer Camp with their students. Ordinary Saints is pleased to announce the scholarship recipients of Hope International interns. Ordinary Saints travels to North Africa to help provide assistance at refugee camps.